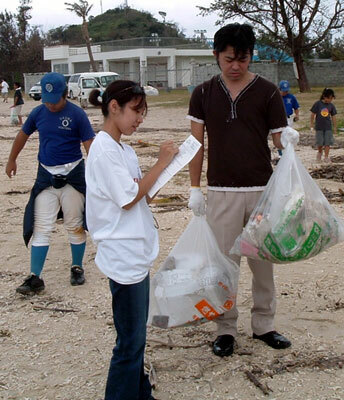 A project to spruce up Okinawa’s beaches, “Okinawa Cleanup Yuimaru”, is on the calendars for September 16~17. Yuimaru, an Okinawan word meaning ‘cooperation’ and ‘to help one another, ties the local project to a global effort to rid the world’s oceans of marine debris. The International Coastal Cleanup is an annual September event, which here on Okinawa is spearheaded by the Okinawa International Clean Beach Club, a volunteer group created 14 years ago. 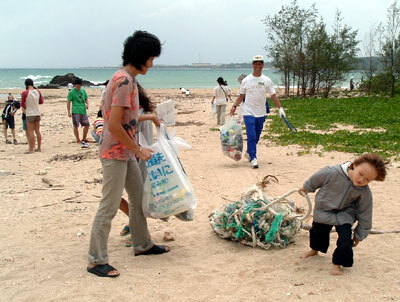 The OICBC is part of the larger Okinawa Ocean Culture and Environment Network, an officially registered non-profit organization that serves as the International Coastal Cleanup Coordinator for the Ryukyu Islands. OCEAN this year is joining forces with the Nippon Foundation to launch the ‘My Beach’project, Okinawa’s first adopt-a-beach program accessible to everyone on Okinawa. Edo Heinrich-Sanchez, Pilot and Chief Navigator for OCEAN, says everyone is welcome to get involved. “Volunteers can clean beaches any time in September or October, but the main event is on September 16~17,” says Heinrich-Sanchez. “We’ll meet at 9:30am and start at 10am at the Cleanup Yuimaru headquarters at Cape Maeda. Naha’s Clean Beach Club will have a cleanup at Senaga Island in Tomigusuku City on the 17th, while Kadena Air Base Kadena High School Air Force ROTC cadets will be cleaning Cape Zampa and Uza Beach areas in Yomitan at the same time,” he says. The International Coastal Cleanup celebrated its 20th anniversary last year. It has been known locally as the Okinawa Cleanup Yuimaru since 1993. Okinawa’s affiliations stretch across the waters to the Galapagos and Easter Islands, Fiji, Palau and Hawaii as part of the Island Connections Program. PADI Project A.W.A.R.E. is the underwater partner to the International Coastal Cleanup. In Okinawa, the NPO Okinawa Diving Safety Council is participating, and divers on the 16th and 17th will be provided with mesh bags and in counting after the dives. ‘My Beach’ Project volunteers can register online for a minimum of two cleanups a year that must include the Okinawa Cleanup Yuimaru-ICC. Important marine debris data is collected during these projects, and officials are challenging volunteers to adopt-a-beach for two, three or five cleanups a year. 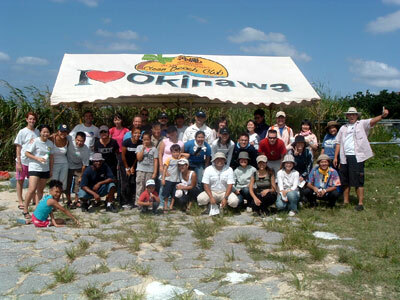 If a group decides to clean a beach on a monthly basis during the I Love Okinawa Campaign, which runs from March to November each year, they will be entitled to a Local Clean Beach Club status with special support from Okinawa OCEAN. Details are available at mybeachproject@yahoo.com. Collection of marine debris data by volunteers has traditionally been a unique feature of the Yuimaru-ICC cleanup campaigns. The findings are published in an annual report, placed in a data base, and shared with other organizations. It is also relayed to the Japan Environment Action Network in Tokyo, and the Ocean Conservancy in Washington D.C. It also goes to the United Nations, where it is used in creating international laws and treaties on marine pollution. Data in past yars led to passing the Marine Pollution Act, and has assisted in tracing marine debris to its source. Yuimaru-ICC officials praise volunteers for their efforts, which they call “very crucial to the future of our oceans.” The Okinawa International Clean Beach Club has teamed with more than 45,000 volunteers over the past 15 years, removing tons of marine debris and saving countless numbers of fish and mammals from ingesting marine debris. Its quest for making Okinawa’s coastline a safer place for everyone is a prime concern, and Edo Heinrich-Sanchez wants more participants. Information on how everyone can help is available at info@okinawaocean.org or edosensei@hotmail.com. Further details are available at 965-5371.